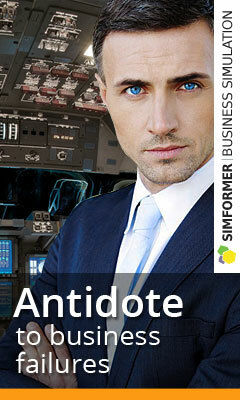 The virtual simulator Virtonomics was originally created not just as an exciting strategic online game, but also as an effective tool for solving real corporate tasks in the field of personnel training, increasing the effectiveness of teamwork, developing a systematic approach to management and planning skills, and improving the quality of strategic management. Virtonomics does not have a linear scenario, allowing the player or his coach to determine their own business goals and strategies, organically build into the gameplay virtually any case. Corporate Universities and Business Schools this makes it possible to flexibly use the Virtonomics platform, constructing from its “cubes” any business games and trainings for actual tasks and scenarios. For top managers, this enables you to test your ideas and market strategies in the simulator before realizing them in real life. creation of the personnel reserve. The game is played online, which allows you to conduct trainings and business games simultaneously for a large number of employees, without the need to collect them all in one place. This quality makes Virtonomics a particularly attractive tool for large geographically dispersed companies with many divisions and a wide geography. Users play, configure and optimize processes, compete, cooperate, trade not with the computer, but with each other. Efficiency of communications and teamwork skills are the most important component of the game process, and directly affect the achievement of your goals. Everything is like in real life. 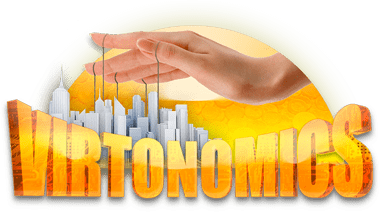 In Virtonomics today more than 1 000 000 users are registered, it is translated into Russian, English, Spanish, German, French, Chinese, Ukrainian. About 35% of Virtonomics users are English-speaking, which will allow you to train employees not only with the intricacies of management, but also with foreign business vocabulary. Business English in the era of globalization is relevant for employees of virtually any company, from start-ups to large international corporations. The game situation changes 1 time per day without requiring the user daily a large amount of time, which makes it possible to train staff, conduct trainings and business games remotely and without interruption. Coaching account – this is a special account in the business simulator Virtonomics, which allows you to create and manage training groups during the training. The coach account provides the coach with the opportunity to create their own business game scripts and conduct these games with an unlimited number of users. During the game, the coach can monitor the actions of players, adjust them, give feedback and, thus, track the assimilation of theoretical material and the ability to apply it in practice. If you want to try out the functionality of the coaching account, please write to us. We will be glad to receive your letters, questions and suggestions.